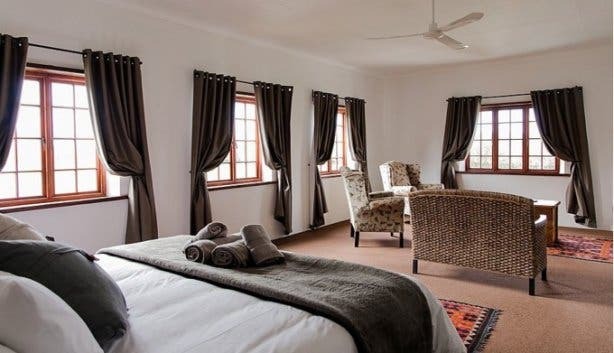 Exquisite en suite rooms with river views or pool balcony. The peace and tranquillity of a working dairy farm. 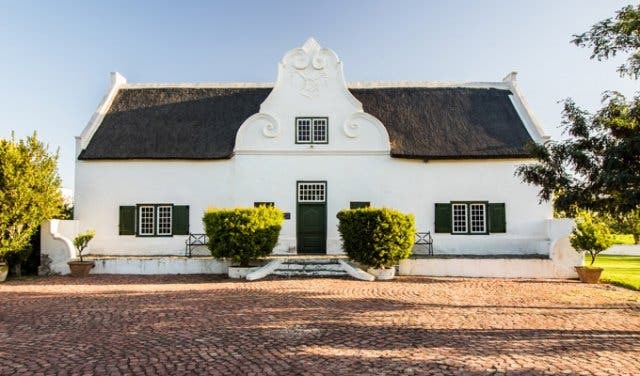 And the excitement of discovery: SA’s fourth oldest town, hikes and walks through the orange orchards and getting closer to Africa’s largest antelope than you’ve ever been before. 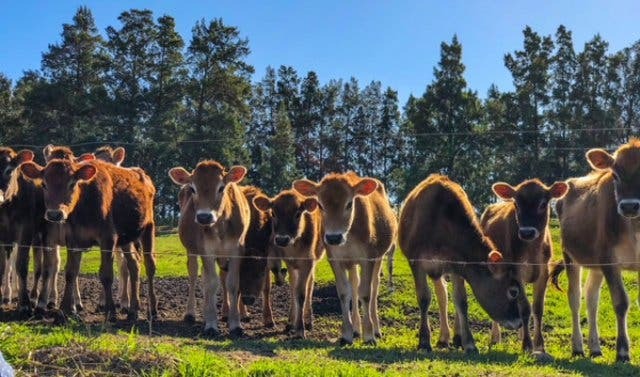 Here’s why you should take note of an exciting farm stay special at the Rotterdam Guest Farm in Swellendam. 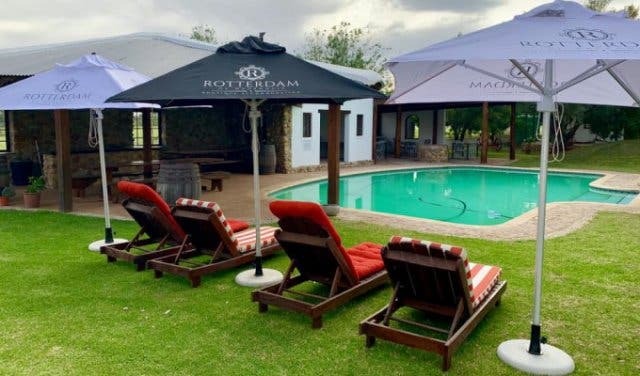 Rotterdam is a working dairy farm just outside of Swellendam that offers rustic farm accommodation in 16th-century-style farmhouses. 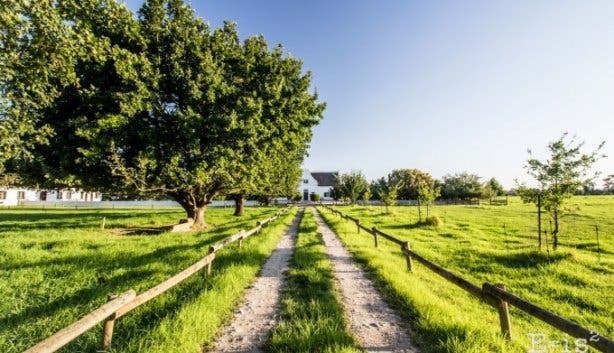 Perfect for weekend getaways, countryside stopovers on the Cape Town-Plett route, family reunions and group bookings. 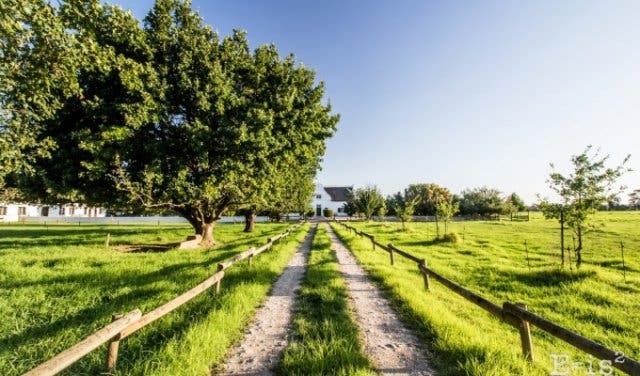 And now you can experience a real farm-style getaway with a little extra to enjoy. Book any two-night Rotterdam stay for two people or more, and you get free breakfast options and a unique sunset safari picnic experience. 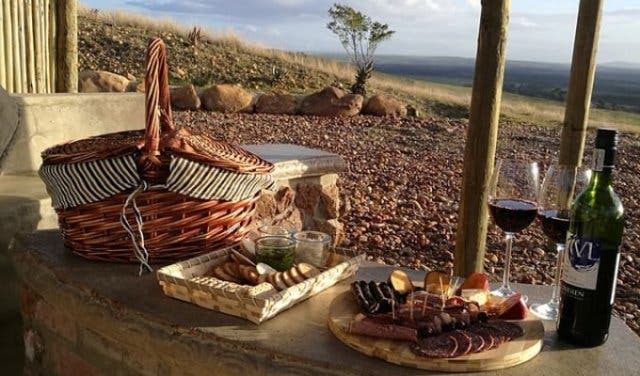 The neighbouring Kwetu guest farm offers an unmissable wildlife experience. On a game drive here, you’ll see giraffe, ostrich, zebra and a range of antelope close up and guaranteed. Plus: At Kwetu, you’ll get closer to the mighty eland, Africa’s largest antelope, than anywhere else. And you’ll be able to indulge in a spectacular sunset safari picnic looking out over the farm and wildlife with Swellendam’s famous Clock Peaks in the background. 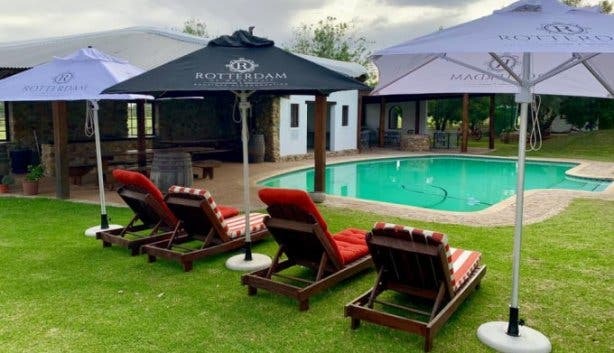 Choose from either a delicious continental breakfast prepared by the Rotterdam staff in the authentic farm-style kitchen and enjoy it together in the restaurant. 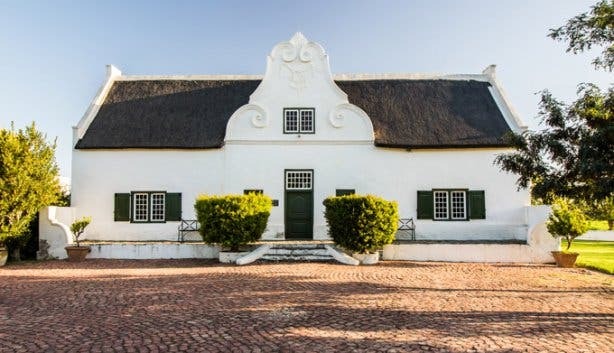 Or, opt to explore a bit more of the nearby town of Swellendam and you’ll receive vouchers for breakfast at favoured Swellendam eateries such as the Old Gaol. 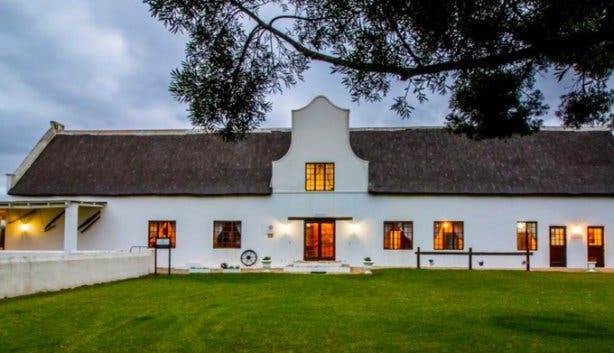 This farm stay special is valid for any two nights accommodation booked for two people or more. Prices start from R695pp per night sharing, depending on the size and type of rooms you require. Did you know this place is also a beautiful and unique boutique wedding venue? See more on the Rotterdam Guest Farm in Swellendam. They also offer an incredible bachelorette party special.